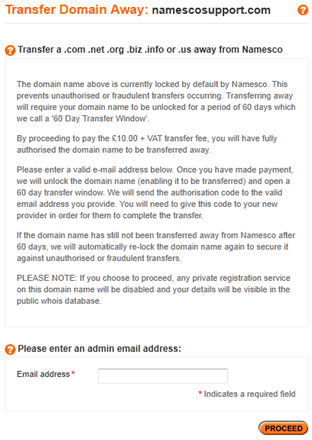 The process to transfer a domain name away from Namesco is dependent on the domain name suffix. You will now be presented with 2 boxes which you are required to complete before continuing the transfer process. 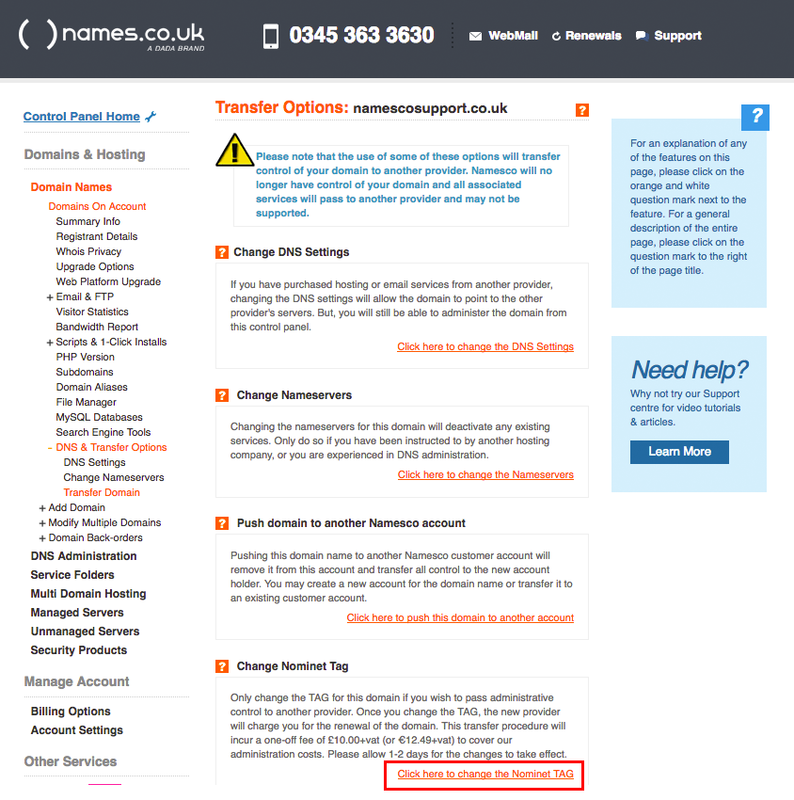 Please enter the reason for transferring your domain away, and your new Registrars Nominet/IPS TAG - If you have not yet done so, you will need to obtain this from your new Registrar directly. Once you have filled this information in, and select Update you will need to pay the £10 +VAT administration fee - we will then forward the transfer request on to your new provider. They must accept this request in order for the transfer to complete. 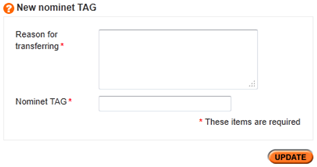 Once you press proceed, you will be required to pay a £10 +VAT administration fee in order for us to process the request. Once payment is confirmed, your domain will be unlocked, and our Domain Administration Specialists will send out the Authorisation Code for your domain. 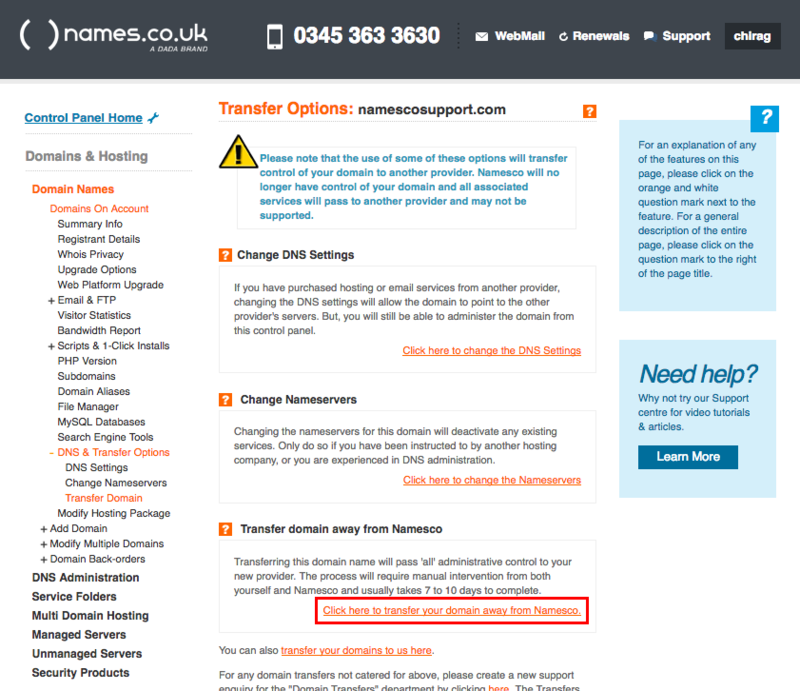 You must then pass this on to your new Registrar in order for them to take control of the domain name. This is a manual process which must be done with the help of our Domain Administration Specialists. 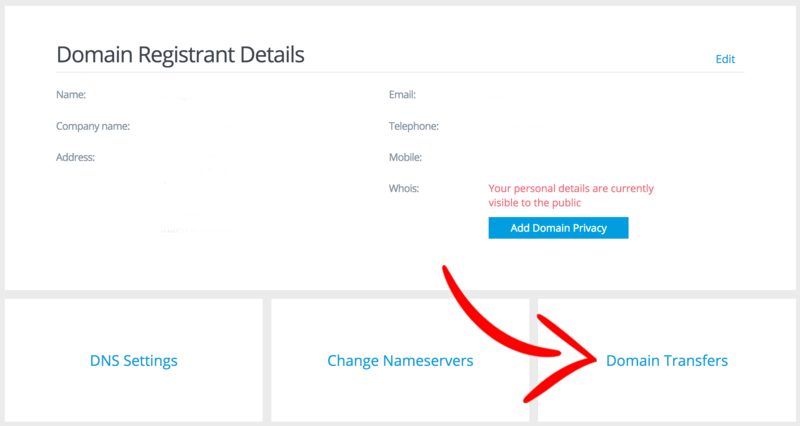 To begin the transfer away process of an International domain name, please raise a support ticket through your Online Control Panel, selecting Domain Transfers as the department, and stating the domain name you would like to transfer. Once this has been received by our Domain Administration Specialists, they will advise what further information is needed.